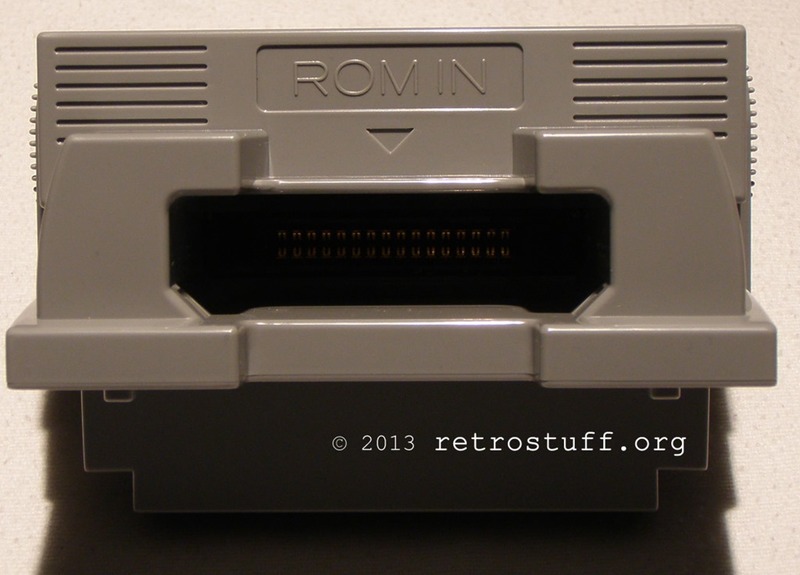 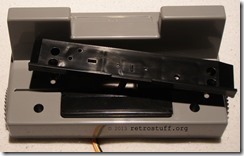 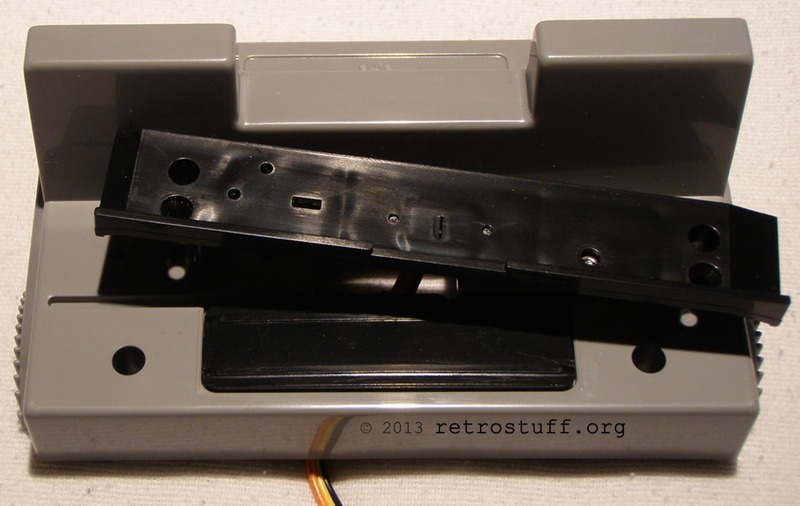 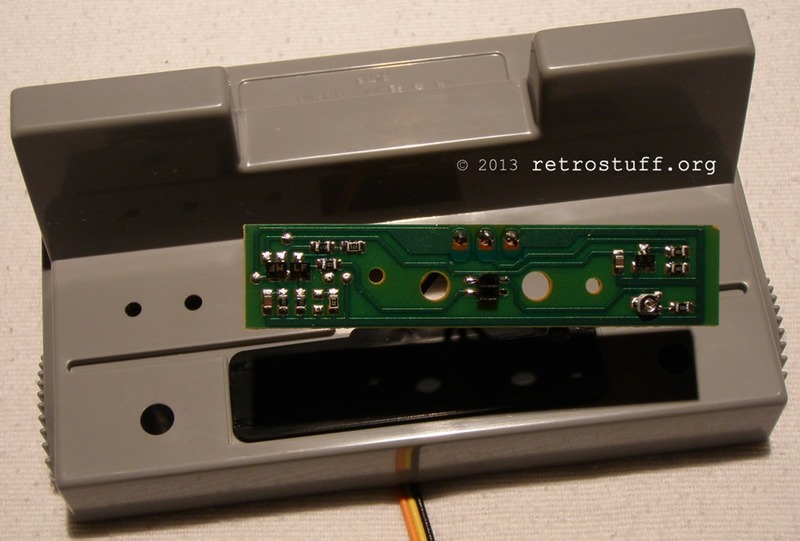 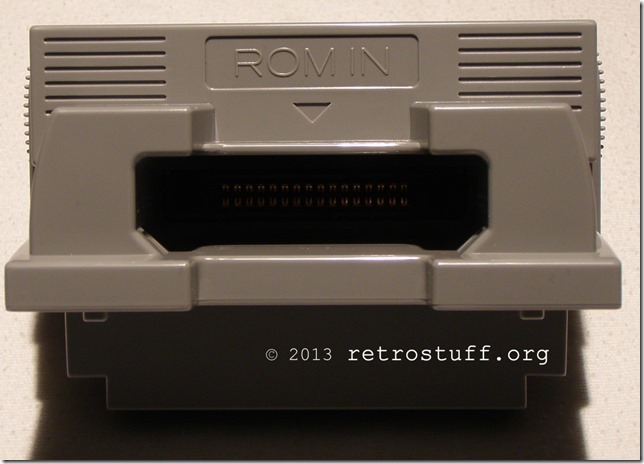 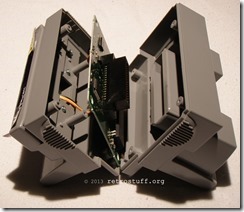 This is the rear of the Datach with the chamber for the small carts. 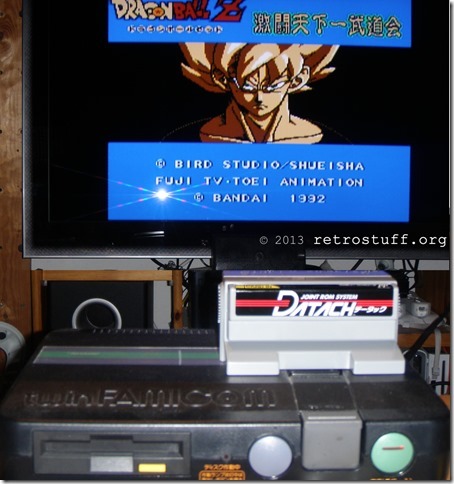 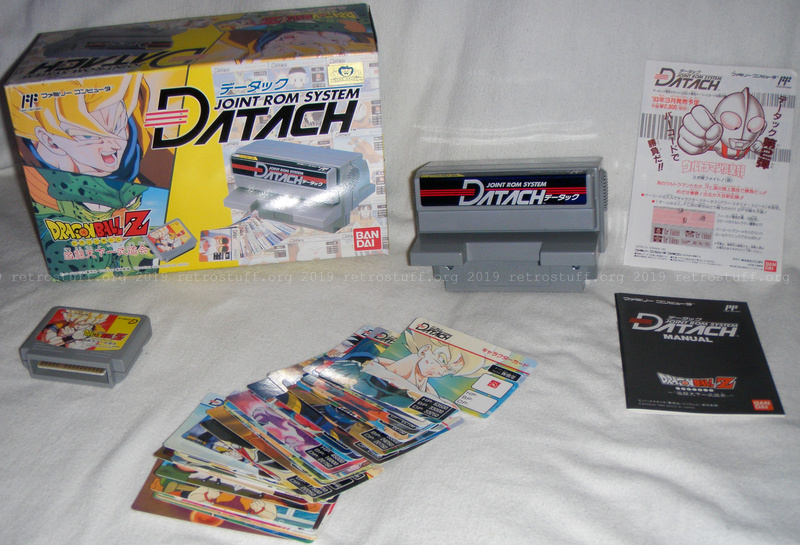 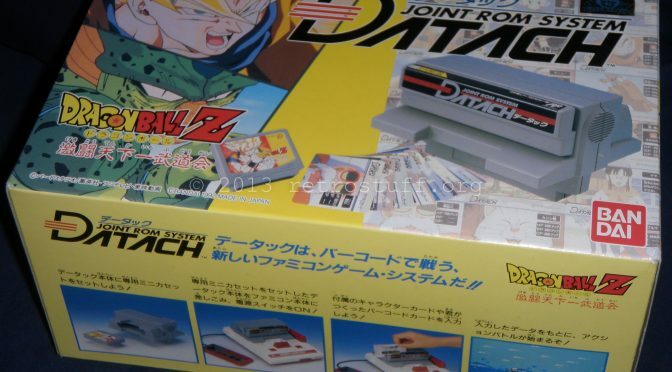 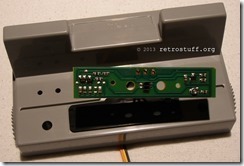 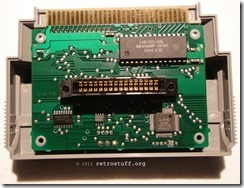 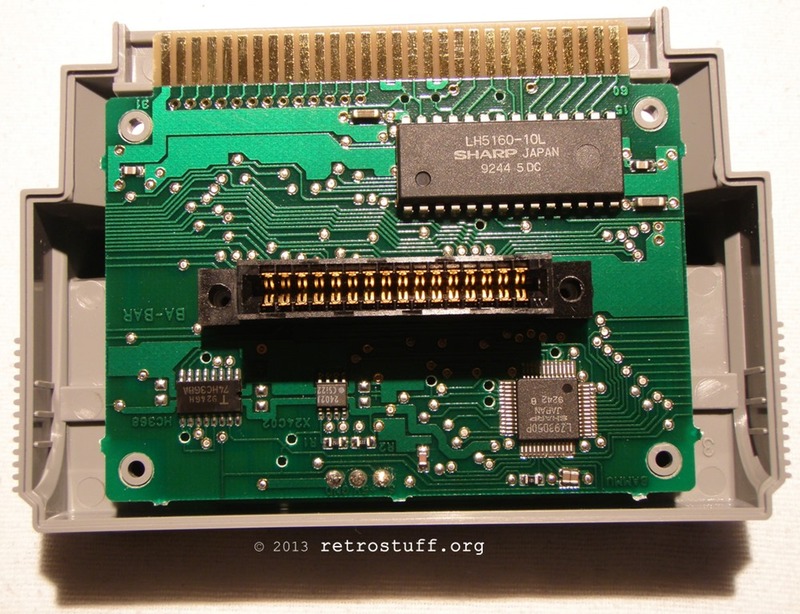 There is a lock mechanism: as soon as you connect the Datach to the Famicom the two pins will be pushed upwards and lock the small cart. 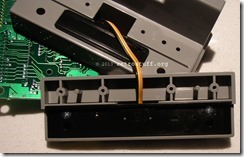 To open the datach the label must be sacrificed because two screws are underneath it. 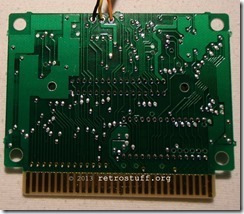 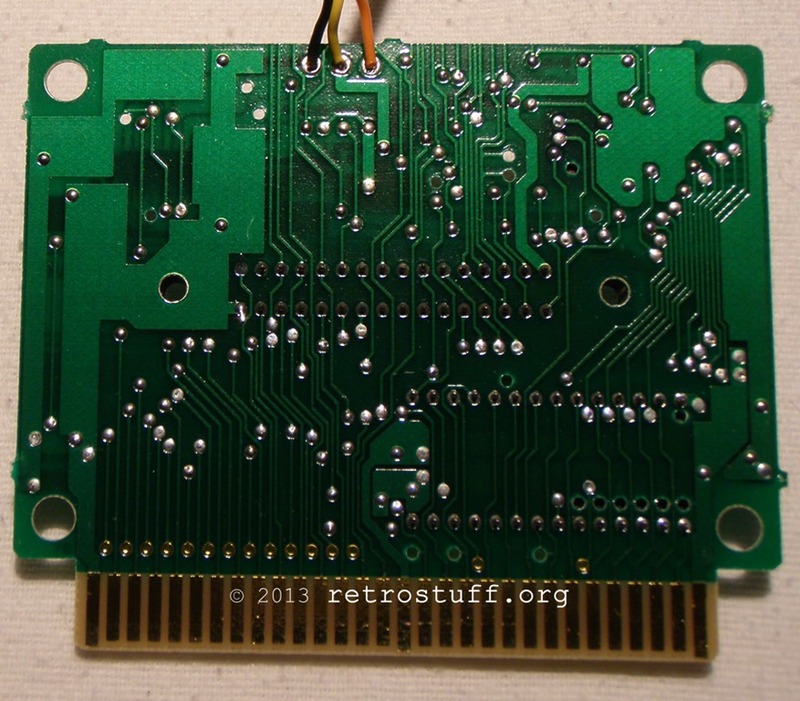 A close-up on the rear of the PCB. 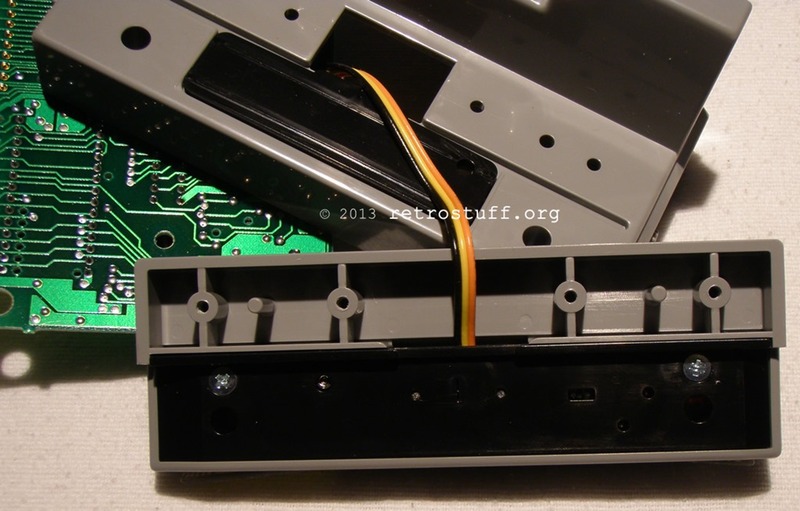 The three wires lead to the barcode reader.